The table below shows the costs for the various technologies at each level. This data was collected in unlimited mode, standard mode costs and availability might differ. The magic number is 19683. 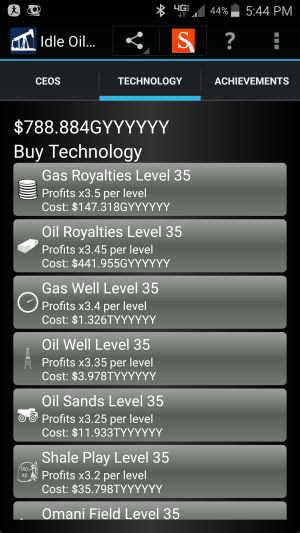 For each technology, multiply the current level's cost by this magic number to get the cost for the next level. This page was last modified on 13 April 2016, at 18:48.